While it may not have been making major headlines across the web, Nintendo's Wii U eShop has been pushing some landmarks in 2014. The first was with Blok Drop U, developer RCMADIAX seizing the crown of being the first developer to release a game through the Nintendo Web Framework, which allows games developed with codes such as HTML5. In an era of spiralling retail game budgets, it represents another step towards embracing the potentially vital download-only 'Indie' scene. This week brings us another landmark, however, with the first download on a Nintendo system to offer fully-enabled online multiplayer that's cross-platform. Pure Chess arrives on Wii U and 3DS — another relatively rare combined release — with multiplayer support between not only the two Nintendo systems, but with players on iOS and Android versions, too. With that in mind, and the fact that the title will fill a rather particular niche on the Nintendo download stores, we paid a visit to VooFoo Studios in Birmingham, England, to have a chat to the developers and their publishers, Ripstone. Joining us to talk over all things Pure Chess were Voofoo Studios' creative producer Shaun Read and technology director Mark Williams, while Michelle Senior and Ami Langton provided the publisher's perspective for Ripstone. The studio itself is, in many respects, a perfect representation of a slowly flourishing download developer. Situated within a modern technology centre complex, the office is sizeable enough to house three sections of desks and a meeting area, and at the time of our visit had a small team of around half a dozen to ten employees working on various projects. Small scale yet busy, it's indicative of a small studio that's enjoyed some solid success — and therefore growth — since beginning in 2007, primarily with games on Sony platforms and some mobile releases; those with a PS3 or Vita and a love of pool may best know the developer for Hustle Kings, while Big Sky Infinity is an eye-catching twin-stick shooter. 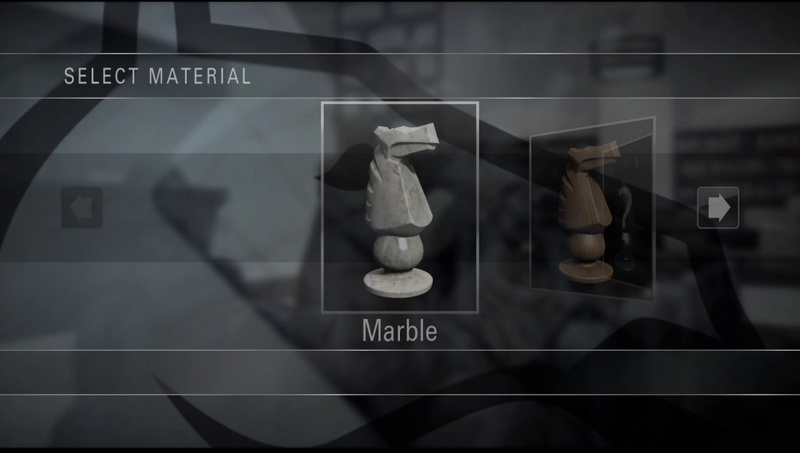 Pure Chess, meanwhile, has been released on PS3, Vita, iOS and Android prior to its arrival on the Wii U and 3DS, so naturally one of our early enquiries was simply why it, and not other games, became the studio's first foray on Nintendo hardware. Mark Williams highlighted that it was a natural progression: "there are no major chess games out on Wii U or 3DS at the moment, and it seemed well suited to the platform to both 3DS and Wii U", he explained. "Obviously it’s been proved really popular on PlayStation platforms, which is why we imported it to the mobile. So, yeah, just the fact that it’s been so popular there’s obviously demand for the game". Coming to that decision also brought to light the approach that Ripstone takes, as a publisher, with its developers. With VooFoo Studios being independent, it's highlighted that business and development decisions are made by both parties together, rather than an old-fashioned relationship in which a publisher would dictate projects, targets and objectives to development teams. So it’s always kind of clear. Obviously want to have the developers on side. Ami Langton: I think we have an open dialogue throughout the development cycle. A lot of us at Ripstone actually come from development backgrounds ourselves. We just naturally like to be involved in the process anyway. Obviously we’re a lot smaller that your traditional publishers as well, so everyone has to muck in and get involved in all different disciplines. But it’s great because, you know, we have a good relationship, or we like to think we have a good relationship with developers we work for, we work with, and having that openness and that honesty between you just makes for making better games. Michelle Senior: Yeah, and it’s always the thing when developers are making games, they always want to start shouting about it straight away. So rather than just us coming along at the end and then being like, “Right, yeah, let’s get it to market”, we just start off early and get people talking about it; we just give the developers the opportunity to start shouting about it early on as well. Shaun Read: Yeah. I think, what Ami says, the big difference is that the guys are from development backgrounds. Usually when you’re working with producers, you know they don’t know the process as well as these guys do. 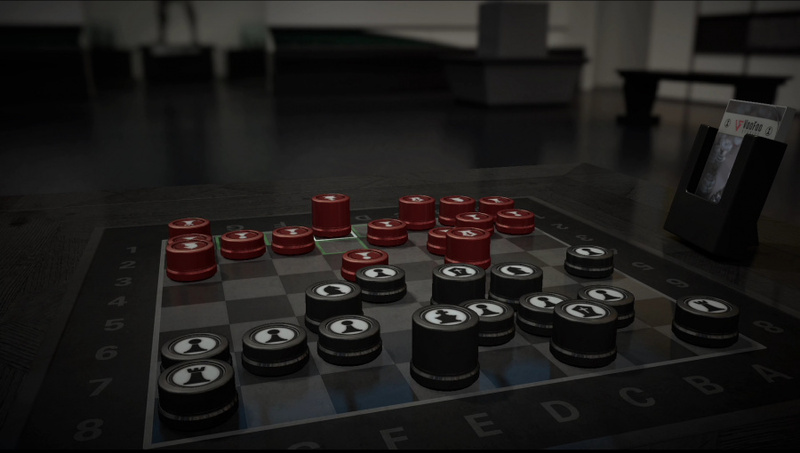 What's perhaps surprising, looking in from the outside, is that Pure Chess was a strong choice from a developer's and publisher's perspective. It seems like a niche market, which is alternately a strength and, arguably a weakness, and Williams admits to being "positively surprised" by the reaction to the title on Sony and mobile platforms. Considering the free alternatives and various online sites where players can easily jump into games, it perhaps defies expectation that what could be regarded as a 'premium' approach has resonated with gamers. It was explained to us that the detailed 3D models, for example, are "modelled from the ground up" by just two members of the team, and producing a new set alone could take "around two months", with Read explaining that is "flat out, full time" work for the designers in question. 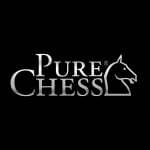 What Pure Chess does bring to the table with its Wii U and 3DS releases, solving a common complaint of its original release on PS3 and PS Vita, is cross-platform online multiplayer. As mentioned at the top of this article that's a first for Nintendo hardware, with Cubemen 2 also on the Wii U eShop horizon in pushing the idea. While playing matches against others on Nintendo hardware, iOS and Android is entirely welcome, we asked whether online play with Sony gamers was ever on the table. "Yeah, there were a few technical issues that we didn’t manage to overcome", Williams said. "We’ve not been able to get the Sony versions of the game integrated into that cross-platform system, yet. It’s possible for the future, but we don’t know. We’re not sure how". When asked about whether that's still an aspiration, we were reassured that it is. "It is certainly something we’d like to do very much, definitely, but obviously the bigger audience we can get all playing in the same competitive online forum, would be great." Perhaps wishing for Sony play is greedy at this stage, especially in light of the greatly expanded audience that will be available through combining eShop players with those on smart devices. It's notable that, with Nintendo often — sometimes fairly — criticised for its online infrastructure, Voofoo's experiences have been positive, albeit while tackling challenges in linking the appropriate networks; the title was originally due on 26th December 2013, with the technical implementation of online one aspect that delayed release. Williams, who led the technology team in making cross-platform play a reality, was full of praise for Nintendo's role in assisting the studio. There were a lot of technicalities in doing that [cross-platform play]. I mean the initial implementation of it all was actually fairly straightforward. It was all a kind of testing, just making sure everything was right for us, and then making sure everything was fitting within Nintendo’s guidelines. Obviously being a new platform for us as well, with not working with Nintendo before, there were a lot of new things for us to learn. So there were a lot of different reasons really why it ended up taking us a bit longer than we originally envisaged it in taking. ...They [Nintendo] were surprisingly open. They’ve really been great to be honest, really open minded, forward thinking. I think it’s a really good thing. I just wish more platform holders ... well, hopefully more holders will do this going forwards. It surprised us just how far this connection will go. Pure Chess utilises its own account system, and when you've set that account up you can log into multiple versions of the game, on different devices, to pick up where you left off. It's quite possible to envisage a scenario of making some moves at home, checking progress on a smartphone while out and then, if away from the Wii U, continuing a game on 3DS. That's all supported, with the option to dive into as many online matches as you please. Unfortunately, the Wii U and 3DS version won't notify you via the respective system's SpotPass options that an opponent has moved; the very first screen when you load the game will point you towards online matches awaiting your move. If you're online at the same time as an opponent, meanwhile, we're told the network is fast enough that the experience can serve as a "live" match, as well as the typical practice of making a move and then logging on at a later hour to see if your opponent has pitched in. SpotPass missed out due to technical restraints, but there's nevertheless impressive flexibility apparently on offer. Match-making can be random — though it pairs you with similarly ranked player — or it can utilise friends through the Pure Chess account system; pleasingly, considering how many games ignore it, your Friend Lists on either system will also be accessible for matchmaking. Matches are just user-to-user at present — tournaments may be considered if "the community cries out for it" — but online results do affect your ranking. For real-world chess players the good news is that the ratings are based on the official ELO standard — quantity of games won't give you a high ranking, it's earned through wins. With substantial offline modes — including tutorials to help beginners, challenges and tournaments — Pure Chess does look set to offer plenty of content. As for platform differences, we've been assured that the 3DS entry has all of the content and functionality of the Wii U version, with Williams surprisingly highlighting that even the networking challenges weren't any greater for the older portable platform. Compromises are restricted to visuals. To be honest the networking stuff on 3DS was very, very straightforward. Nintendo were really helpful with that. They provided us with what we needed to get that integrated. It was certainly no more of a challenge than it was on Wii U, which was fairly straightforward, and Nintendo have been a great help in that respect, to be honest. On the 3DS the biggest challenge was the rendering side of it. It’s a very, very different architecture to anything else we’ve worked with. We’re still actually rendering the full detail models, but the way we’re rendering them is slightly different. So we’re still getting really good assets. We just had to drop a few things ... like, for example, on Wii U you can actually go in and seem up close to the features and pan round them. We can’t do that on 3DS. As for the Wii U, the GamePad will enable multiple control inputs — touch and physical controls — and also switches up local multiplayer. While another player can use a different controller and use the TV — the TV view can be switched from cinematic angles to a practical top-down perspective — it's also an option to play across the GamePad screen, similar to tabletop games in Wii Party U. Despite the differences, we did pose the inevitable question of whether cross-buy between 3DS and Wii U was ever on the table — buy one and get the other free. Both versions have to be bought separately on PS3 and Vita, too. Shaun Read admitted it was a question asked a lot — "the price point dictated to us the way we did it." Coming at a price that's relatively low, the company opted to focus on providing a good value initial offering, with DLC extras. The core modes and three sets / environments are all in the initial price, and it was clearly a strategic choice. The argument can certainly be made for cross-buy or a cheaper price on 3DS, but Ripstone and Voofoo are confident in the model. As for confidence in potential sales success, both representatives of Voofoo feel that a combination of a niche product and the target platforms will serve Pure Chess well. Williams: Well, I think it could do fairly well. Like I said earlier, chess has really surprised us on the other platforms. So there’s a lot more people play chess than I thought, you know? So even though on Wii U you’ve got a slightly smaller user base, I think we can still do fairly well within there. Read: I think on balance it is quite niche, which will hopefully go in our favour as well. You know it’s not a 3D platformer, or some kind of motion game. In terms of what's next, Williams described the Wii U in particular as "a great platform to work on", and the studio is open to more projects on Nintendo hardware should Pure Chess perform well. It's down to "how it’s taken, how the community responds, and we go from there", though the team has discussed potential options from its existing catalogue. 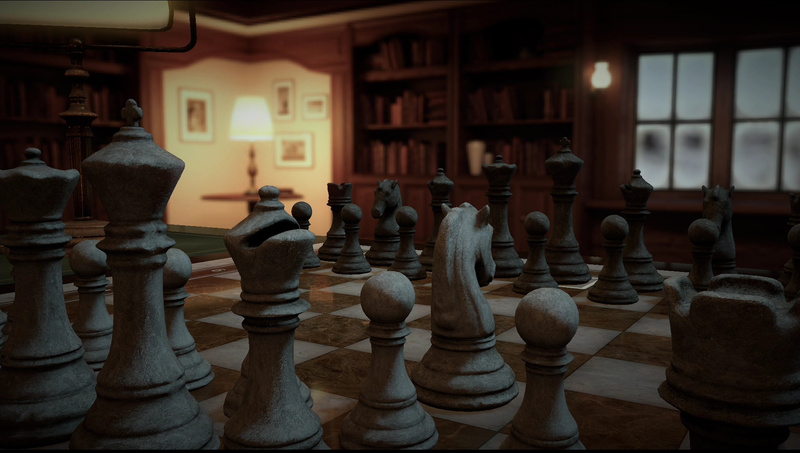 It'll be interesting to see how Pure Chess performs on Wii U and 3DS with its release this week. Its success on Sony systems, as well as iOS and Android, bodes well, and it's also given Voofoo Studios a first step into working with Nintendo hardware. It brings us a landmark in cross-platform online play, regardless, and will hopefully be the first of many to connect Nintendo gamers with contemporaries on other platforms. We'd like to thank Voofoo Studios and Ripstone for arranging this interview. Still not mentioned how they have implemented stuff like stopping sandbagging. Stopping people cheating using a computer program or deliberately doing something that means when they have 2 seconds left suddenly there is some trick where they get 10 seconds a move and the clock goes down by basically zero (After no problems like that for the whole game). All that is needed is connecting to existing chess servers that have already dealt with most of the above. (The last one is still a problem). All gimmicks from what I have seen so far and none of the important things. I downloaded the app onto my android. I plan on eventually getting for my Wii U and possibly 3DS. Still don't know if I should get it on my 3ds or android! Good for them for the cross platform. I've been waiting nearly 3 years for Nintendo to put some board games on the Wii U along the lines of tic tac toe, hangman and battleship so grandkids can play online w/ their grandparents while video chatting. Still wondering why Hasbro hasn't done it w/ one of their Family Game Night games. It just seems such a natural fit. Chess is kind of difficult. 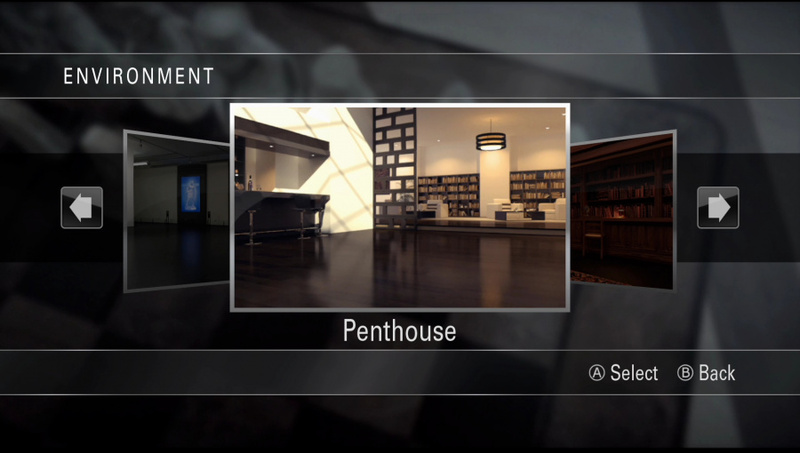 And yes, 3 years, here's the 2011 E3 unveil. Video chat is at the 2:15 mark. Still no baseball either. @unrandomsam Are you aware of any of these issues existing in Pure Chess on other platforms? Pure Chess is too expensive on PSN and Nintendo eShops. First you have price for the game, and then each additional board etc have additional costs, and they are just new "skins" since they don't change gameplay. Zen Pinball was better where it was Free to Start, and then you can trial and/or purchase additional boards. But each board also offered new gameplay. I'll stick to physical chess for local play, and no point buying any "online" game for Nintendo systems (no voice / party chat). While this is "just" a chess game, I think this opens the doors to show developers that cross-platform play is possible. I will be picking this up on 3DS. Count me in for the Wii U version. It's weird how I'm more excited that both player can use the GamePad at the same time to play then any of the other features. Now to see what "ELO standard" rating means (this is my level of experience btw). On a side note, it's nice how small developers have no problem working with Nintendo and the Wii U yet puzzling how the larger ones sometimes have difficulties. Things that make me wonder. The crossplay with other platforms makes this interesting. Curious if it allows one player to use multiple versions via a unified account (image that Nintendo). @Darknyht From what we were told, it does. So you can use the same account on your smartphone, Wii U and 3DS. That's pretty cool, hope more developers do the same thing. It would be cool if CoD (or any other WiiU online game) WiiU players could play with the Xbox/PS players. So we wouldn't have to ask ourselves...."Is the online alive in this game?" Are you auto-paired with random players with a similar ranking? Do you join games in a lobby? Or can you only play people on your friend list? I'm glad there is real multiplayer. I understand the difficultly in implementing cross platform play, especially with smart phones. But I still can't understand why I couldn't just play real online multiplayer with my vita against other people with vitas. @Squiggle55 Apparently you're paired with players of a similar ranking if you go for a random match, we'll test it for our reviews. You can also play those on your friend list, apparently. Aside from the lack of tournaments the online sounds nice and flexible, but we'll be putting it through its paces soon. I've always wanted to try my hand at chess. And cross platform online sounds pretty cool. I think I'll have to pick this up! I would like to see a checkers version, other then that it would be awesome if more developers got into the cross platforming spirit! I had issues with the online play as well... I couldn't manage to even get one game in. @ThomasBW84 Thanks for the info. I might have to buy this game again then. Like you said, tournaments would have been really nice, but in essence no multiplayer on Sony was beyond ridiculous. I love the chess problems in the game, but in this day and age having a chess game on the latest and greatest hardware without being able to play online was silly. Playing this on the gamepad online should be pretty fun. Oh, I GOTTA have my chess. Any gamer knows that you gotta have at least one good chess game in your arsenal to fall back on. And since there's really not much else available, it looks like this will be it for me. 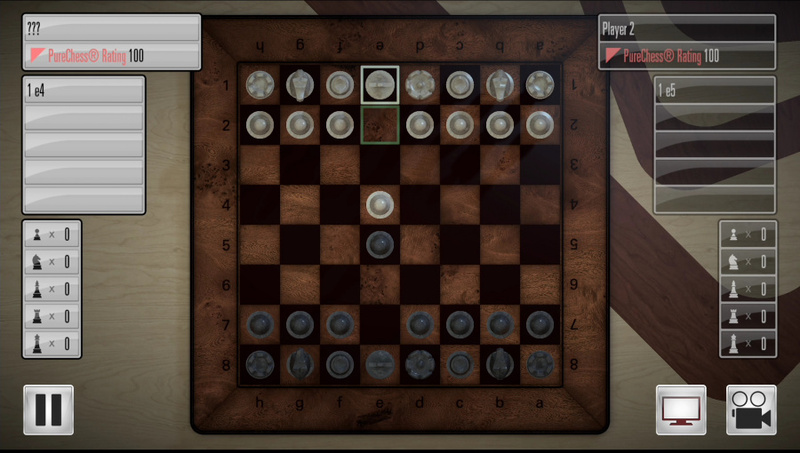 Although, it looks pretty good regardless, even if there were other chess games to choose from. I have been undecided about buying this, but after this well written article and finding out it was developed in the UK, I'll be purchasing this weekend. - have to support local developers! I like that they've added a comprehensive 'training' and strategy guide - I know the basics but hopefully this will help find out how to win more often! I am buying now and will post impressions later tonight. I love the local play options to game with my wife. Wow. Nice. For once, Nintendo is innovating in online multiplayer. Now to allow NNIDs to be used in 3DS games. @ThomasBW84 Can you test their anti cheat stuff. (i.e how well it detects if someone is typing moves from a computer (Against the other reviewer just type in moves from any old Chess program any worthwhile system would detect it straight away) / what happens if you make a disconnect / what happens if after a disconnection the opponent refused to resume / how the time works whether it is server time or some type of lag compensating.) Another thing is whether you can just play across 2 platforms and have one person just resign after the first move to jack the rating up. They are all hard problems to solve and they haven't mentioned any of them in the interviews so far. Only focusing on trivialities. I have come to the conclusion Nintendo platforms are the worst I have come across for people deliberately disconnecting and stuff like that. The gamepad is used very well for this game. By default, you can move with cursor/buttons or touch control. The game will only show you legal moves, which is nice for beginners. The gamepad shows a top-down or isometric view of the board, and the pretty graphics go on the TV screen. You can have TV mirror the gamepad if you like. It works really well for local play. You can also play just on the gamepad if you like as well (good for casual play). "Nintendo was "open minded, forward thinking" with networking challenges"
Disappointed with 3ds version: slow online mode, no camera movement for upper screen, lag on drawing the board on topscreen, sometimes bad touch screen recognizations, very bad resolution on topscreen and touchscreen (for descriptions specially - check statistics for example, thats just ugly!) and the graphics are not in HD. The eshop description says so.....one could say thats a lie! After all, I would say, Ripstone failed on the 3ds version. Im very disappointed wirh the game and its praisrn features (ll) and will surely remember such a company. sorry 2 say, but its my opinion. I'm not happy with the Wii U version, online seems to be broken, takes way too long to find a player. I was expecting an online game where I could quickly find an opponent and not have to wait years for a game to even begin. It should be simple, search online, find player, each gets x-time to make move and voila. So far it seems they tried to recreate a browser game of chess. Feels like I waisted my money. Can't stand the blur in the backround either. It's just there permanently, doesn't matter where you focus.